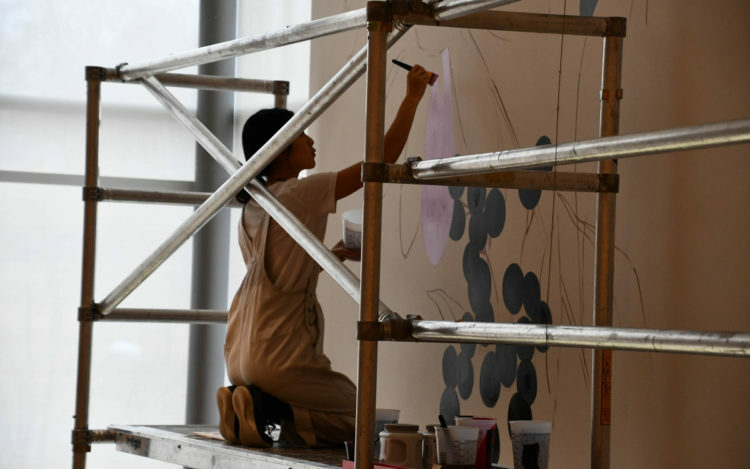 Beginning on February 22nd, and running through June 2nd, the New Britain Museum of American Art is presenting the work of Georgia O’Keeffe in the exhibition The Beyond – Georgia O’Keeffe and Contemporary Art. 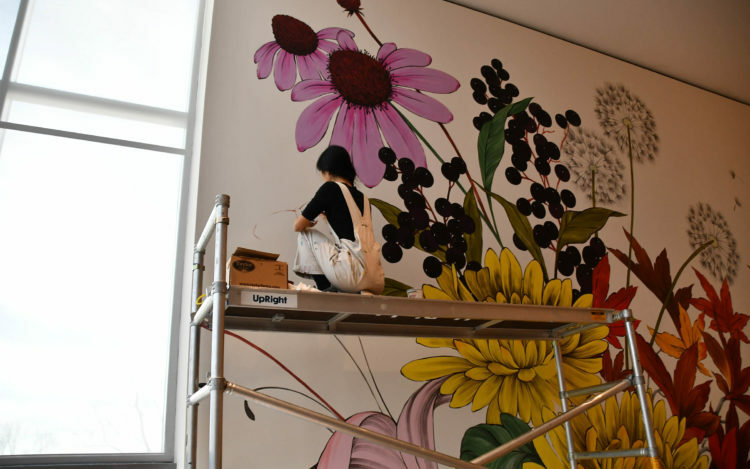 Among the highlights in the exhibition are 40 works by O’Keeffe including eight of the iconic artist’s most remarkable flower paintings. Also on display you’ll find a number of works by contemporary artists that were influenced by or reflect on O’Keeffe’s style. 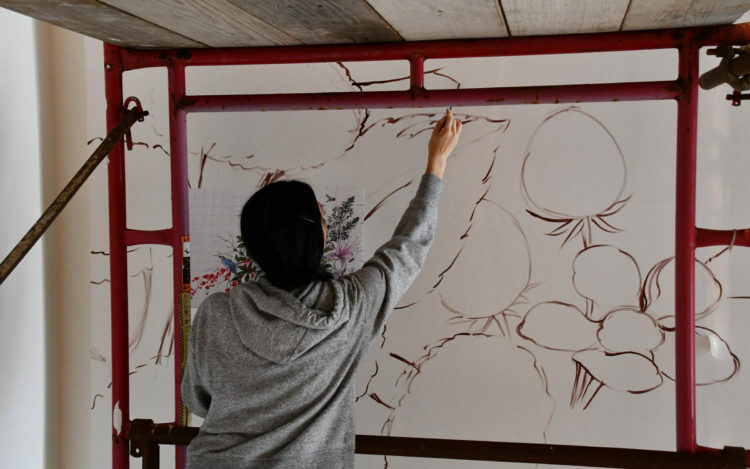 In each of the exhibition’s three venues, Crystal Bridges Museum of Art in Bentonville, AR., The North Carolina Museum of Art in Raleigh, NC. 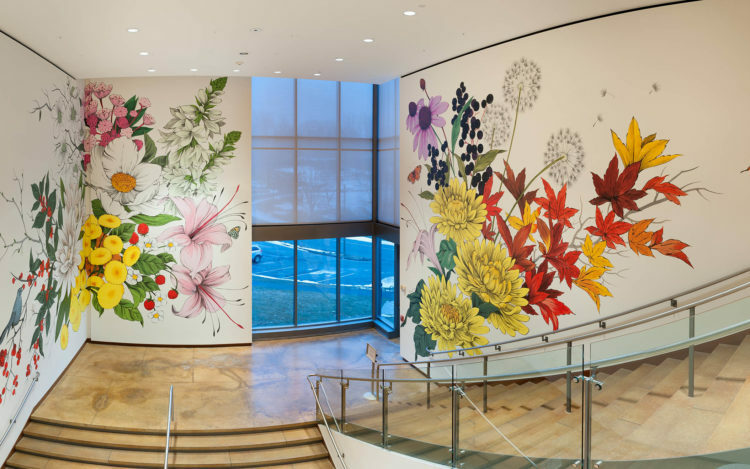 and The New Britain Museum of Art, the Detroit-based artist Louise Jones has created extremely large botanical wall murals reflecting the native flowers, shrubs and wildlife from each museum’s locale. The curators of the exhibition at New Britain called on CT Hort member Judy King and past-member Alice Willard to advise and counsel Louise on the native plants of Central Connecticut. 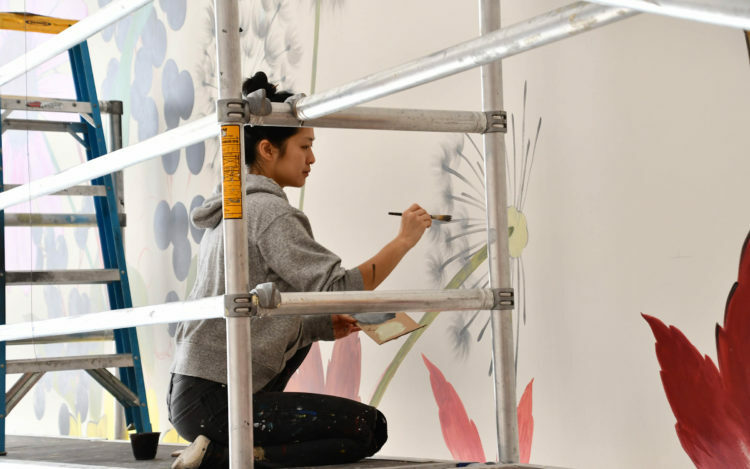 The result of this collaboration is a truly amazing mural representing our local flora through all four seasons entitled Winter, Spring, Summer, Fall. 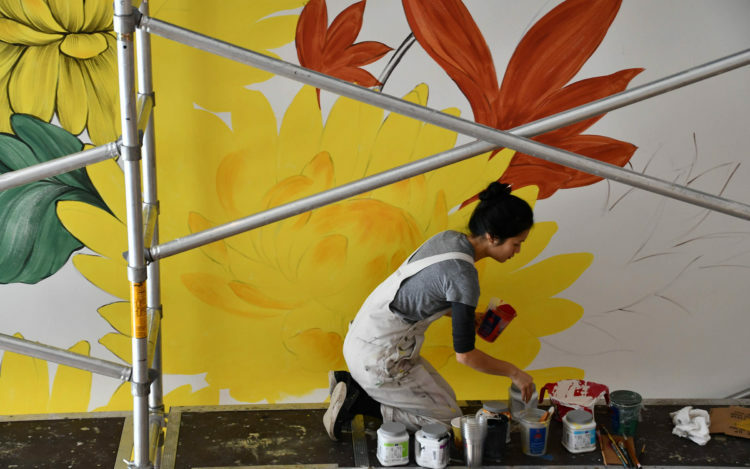 Be sure to visit the museum between now and June 2nd to see the mural created with the advice of our CT Hort members and all of the works in this amazing exhibition.